Study rooms are for studying and academic purposes only. 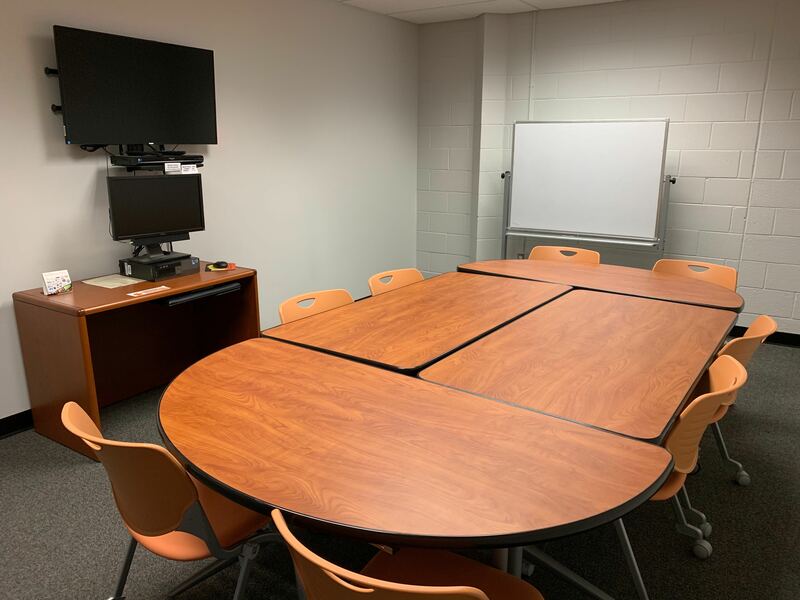 Study rooms may not be used for student club meetings or instructor office hours. Library faculty and staff reserve the right to enter any study room for security, maintenance, or other reasons. Library faculty and staff reserve the right to cancel any booking that has not checked in 15 minutes past the start time. 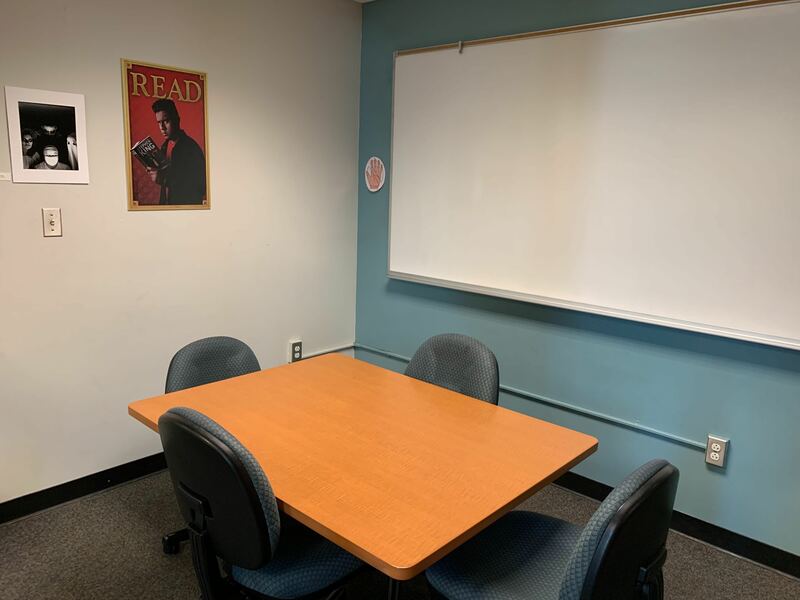 Twelve rooms are located on the first floor and include chair(s), table(s), and whiteboard. One larger room includes a computer and media equipment. 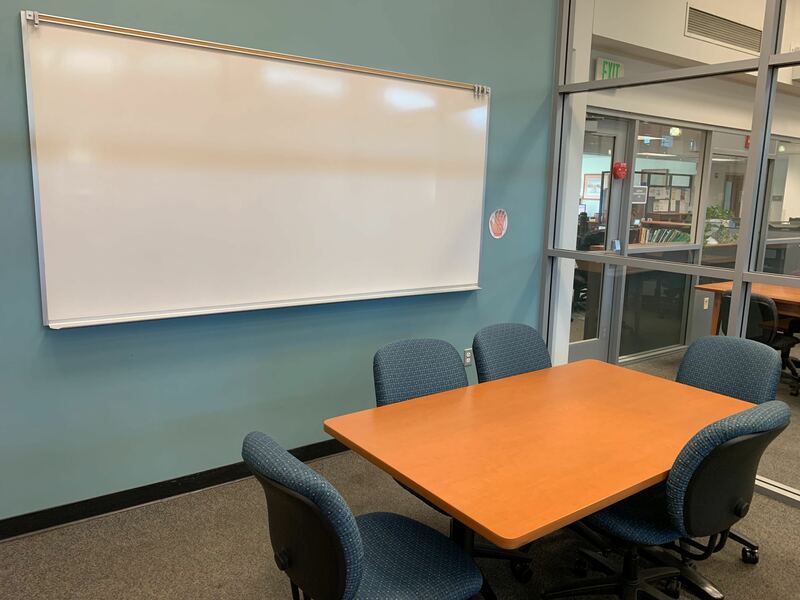 Six rooms are located on the second floor of the library and include chair(s), table(s), whiteboard, computer, and media equipment. Wireless keyboard/mouse, white board markers, and erasers are available for checkout. Checked out by currently registered students with a Citrus College Photo ID. Checked out on a first-come first-served basis. All rooms have a one-hour time limit for use with renewal for an additional hour at the discretion of library faculty or staff. Checked out by an individual student or groups of two or more students but not to exceed six students in a group. The person whose photo identification is used to check out the room must retain the room key and may not transfer it to another student. For group check out, the person whose photo identification is used to check out the room must remain at all times while the room is in use; otherwise, the entire group will be asked to leave. Hushed volume since rooms are not soundproof; door must be closed while room is in use. Equipment must remain plugged in. Furniture stays in the room during use, and additional furniture cannot be added. One light must remain on at all times. Room key must remain in the Library and be returned on time. Personal items cannot be left unattended. Staff is not responsible for items left behind and may place unattended items in lost and found at the Reserves Desk. No food of any kind, and library-friendly beverage containers only (no open containers). No litter. Trash cans are not provided in study rooms, so please discard any trash outside the library. Door must be closed upon exiting the study room. Need some help with our new online reservation system? Click HERE for a step by step guide!